Be careful about the Windows Anniversary Update because system restore disabled after Windows 10 Anniversary Update. Many users have found out that system restore disabled after Windows 10 Anniversary Update with all the system restore points gone. That said, if however, the update does not go well, you are at the risk of losing some information. Therefore, it is highly recommended to create some backups besides system restore points in case things go south. Actually, it is a good habit to always have a backup. 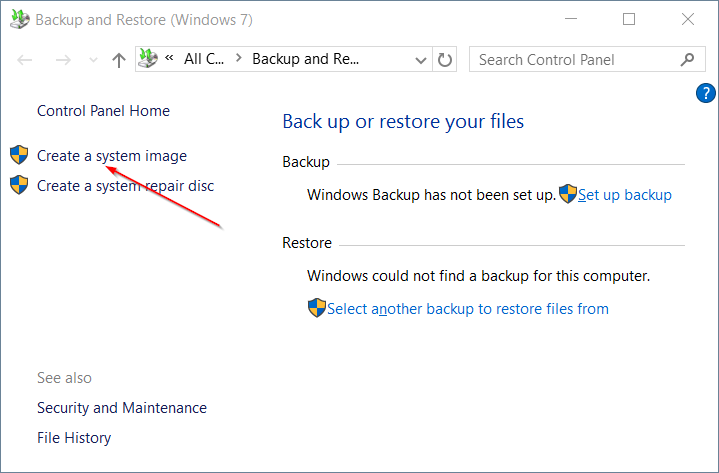 Microsoft has brought back the Backup and Restore (Windows 7), so you can create image backup the way you do in Windows 7. You can follow the steps below to create a system image backup. 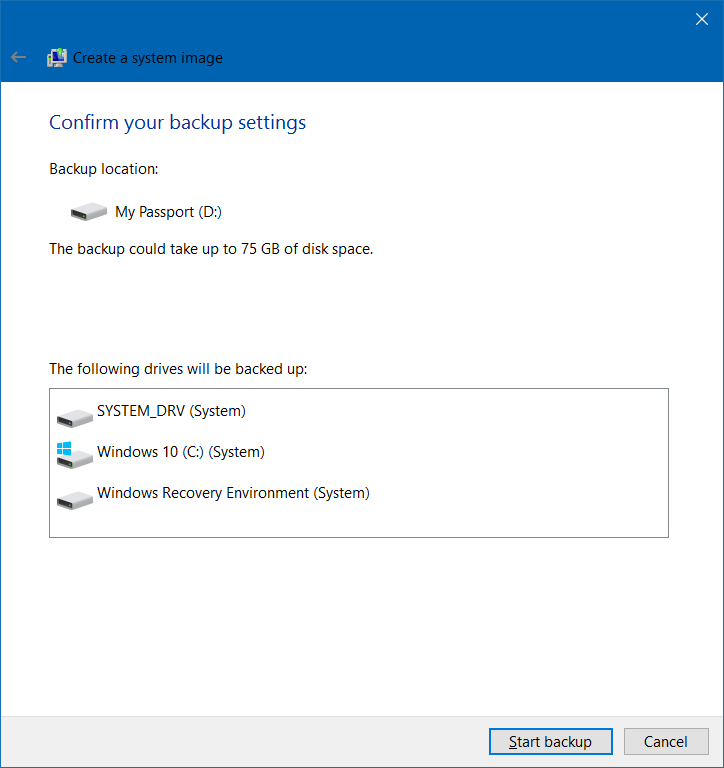 Therefore, you will have a full backup even though Windows 10 anniversary update disables system restore. 1. Type “backup” into the search box and, in the listed results, select Backup and Restore (Windows 7). 2. Click “Create a system image” to get started. 3. 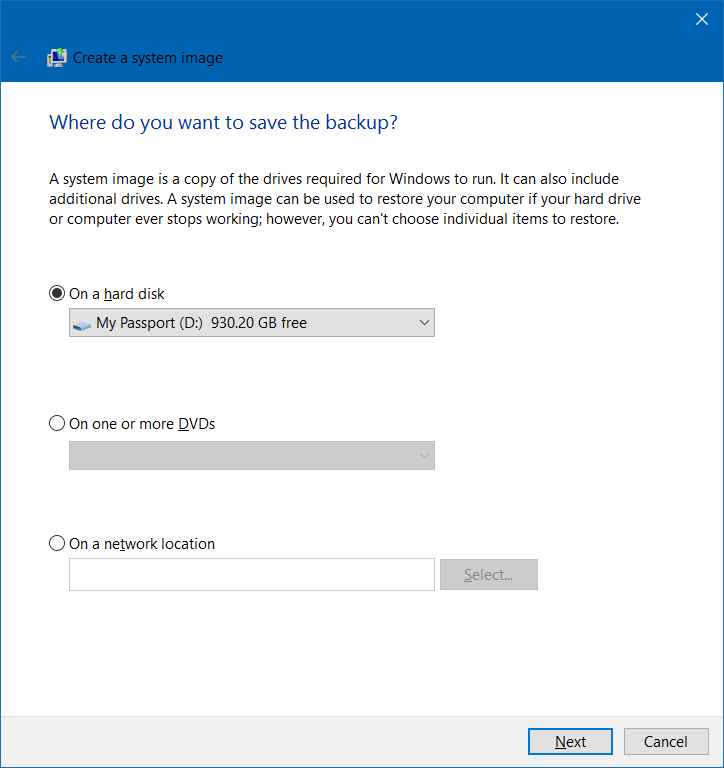 Select a partition or a disk as the target location to receive the image backup and click next to continue. The partitions included in the backup cannot be set as the backup target location. 4. Select the drives that you want to backup and click “Next”. 5. Click “Start backup” to start the backup. When the backup is done, you can also create a system repair disk. When there are no system restore points after windows 10 anniversary update, you can restore your system back even if it fails to boot. 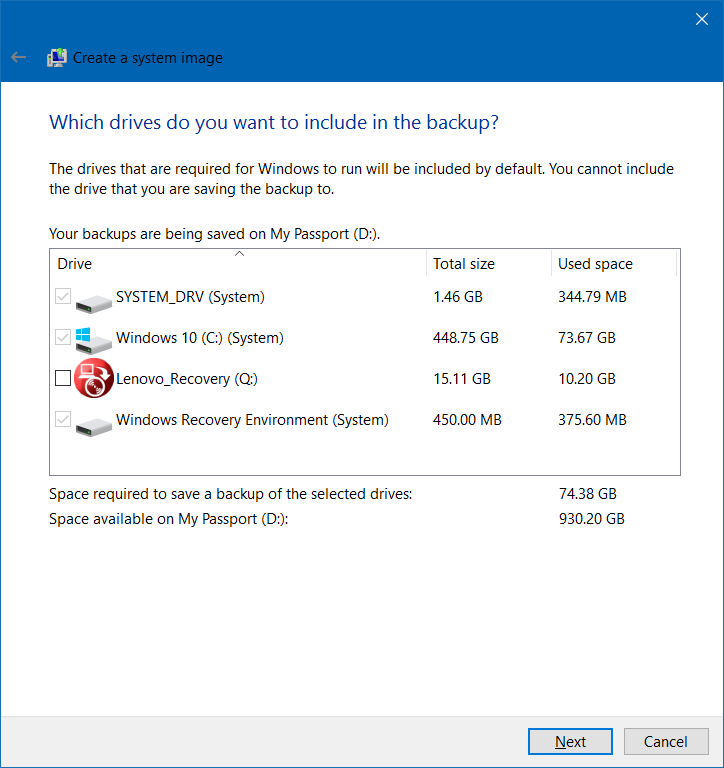 If you have suffered the failure of Windows backup tool, you may want to use third party free backup software to backup Windows 10. AOMEI Backupper Standard is a piece of free software designed for Windows 10/8/7 backup and restore. It only takes a few clicks to create a system backup. It enables you to restore system within Windows, via bootable media created by AOMEI Backupper, or from AOMEI PXE tool. In addition, it allows you to restore system to another computer with dissimilar hardware regardless of its firmware. 1. Download and run AOMEI Backupper. 2. Click “System Backup” from Backup tab. 3. In the next screen, you can see system partition has already been included as the backup source and all you need to do is specify the destination location where you want to save the backup by clicking "Step2". 4. Click Start Backup to start the backup. Then the backup will be in process in the background. You can also backup the entire hard drive using Disk Backup option. No matter which method you choose to create backups, in a word, you can never be too careful about protecting your system. Therefore, you should always save some backup before installing updates because system restore disabled after Windows 10 Anniversary Update.